20 Acre Lode Claim - Dumps show pyrite, native gold and galena in appreciable quantities. The Hornet Mines Property is located in the Red River Mining District of Taos County, New Mexico. The mines are contained within a twenty (20) acre lode mining claim. There are at least four (4) documented adits on the claim and some smaller prospects that have not been documented. The mineral claim covers all of the principle mine workings and follows the general trends of ore bodies as they have been mapped geologically. The mines are believed to be mistakenly reported as being developed for manganese. 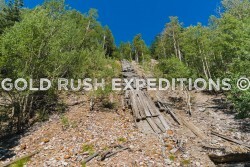 Gold Rush Expeditions, Inc,. disputes this statement as the ores and waste dumps show no indicators of any sort of manganese or graphite deposits. 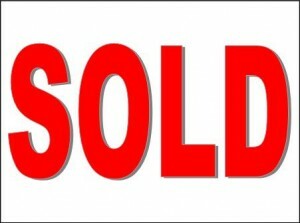 Gold Rush Expeditions, Inc. surveyors found that there was no indication of manganese or magnetite deposits. Rather the dumps show pyrite, native gold and galena in appreciable quantities. Reports from surveyors also described significant infrastructure present on the claim. This including various building foundations, retaining walls, roads and a complex ore slide/chute system designed to carry ore from the upper workings to the main camp for processing. This development is inconsistent with previous reporting and indicates values in ores that validate the expenditures required to develop the workings. The mine was reportedly opened in or around 1910 and known as the Weary Willie Mine. The mine was actively producing in 1926 according to USBM reports, but the production quantity or specifics were not defined. In 1948, Mineral Resources Corporation, of Albuquerque reported extensive development of infrastructure including roads and drifting. There is no further record or production or development from the property after 1948. The area is remote and accessible for only a few months out of the year which may account for some of this. There is also the Questa Molybdenum mine at the base of the canyon which has drawn many miners and only recently (2015) began clean up and closing operations. Located in Taos County, New Mexico. 7.6 miles of easy 2WD dirt road and then a 2800 foot hike to the mines and buildings. The road is narrow and could be accessed via an ATV with some tree clearing/removal. Currently you will have to hike 2800 feet from a tree blockage in the road to the mines. The claim is laid out in a steep canyon known as Cabresto Canyon. The road that leaves the main highway begins at 8650’. The road travels steeply up through a series of switchbacks to an elevation of 9200’ where the lower adits are. There are two adits above this level at 9300’ elevation. There is heavy tree cover through the canyon. The slope where the mine portals exist is mostly barren and bears some shale rock surfaces. There is no water visible either in the mines or in the base of the canyon. The property can be accessed by a good 4WD road that leaves the highway at the base of the canyon. This road travels to the main mine camp (lower adits). There is no road access to the upper adits. Contact Gold Rush Expeditions for a full GMPR-43 Technical report that details the geology of the Hornet Mineral Property. 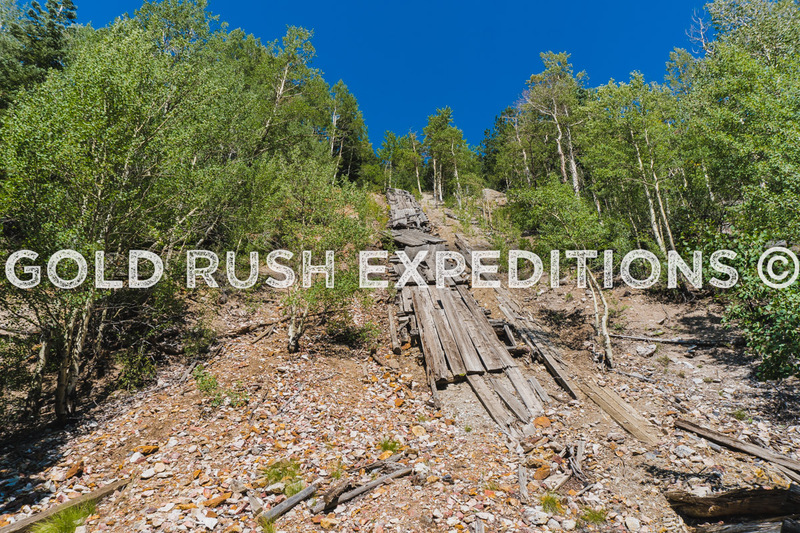 Contact Gold Rush Expeditions for a full GMPR-43 Technical report that details the history of the Hornet Mineral Property. Contact Gold Rush Expeditions for a full GRMP-43 Technical report and more information regarding the Hornet Mineral Property.